Ray Herrington lived with his family on the Waterlow Estate for the first 17 years of his life (from 1939 to 1956). His (step) grandmother was also the landlady of The Lamb pub. A few months ago Ray’s son Mark contacted me about talking with his father. Ray’s life story would fill a book, and in our short conversation we managed to cover gangsters, street parties, bombs, nazi bashing and even the royal family. It was a real pleasure talking with Ray, his stories bring to life the real community spirit of The Estate. So grab a cup of tea and settle in, as Ray has a lot of memories and local knowledge to share ! 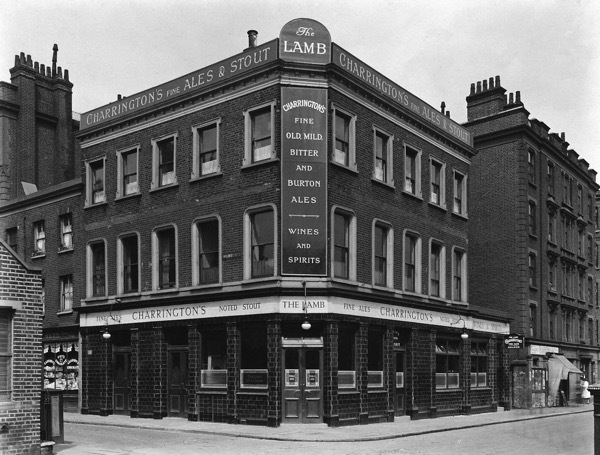 The Lamb, 36 Wilmot Street.